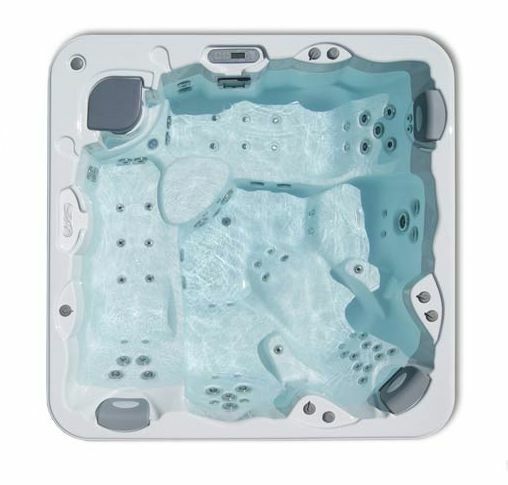 The Aqua 8 spa, with room for five, has been manufactured for domestic and residential use. 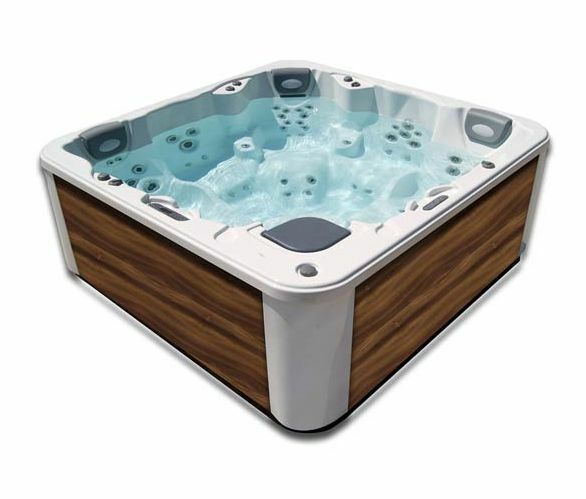 It comes equipped with one of the most complete massage circuits on the market and is particularly suitable for tall people, who can enjoy a relaxing or therapeutic spa session without the discomfort they may find in other spas that are too shallow or narrow. Whatever a person’s build or height, the 48 hydromassage jets and 24 air nozzles in the Aqua 8 spa give an adjustable power massage at a constant temperature. The Aqua 8 spa has two loungers, which make a bubble bath even more pleasurable. In addition to hydrotherapy treatments, aromatherapy and chromotherapy treatments can also be enjoyed thanks to the Aromatherapy and Colour Sense optional features. This spa is available in four colours and in two wood finishes. Music therapy is another optional feature that can be added by installing a Bluetooth surround sound system. Optional extras also include the sophisticated EcoSpa system. This environmentally friendly device can make savings of up to 69% on the water consumed by a spa. The Aqua 8 spa comes out of the factory to be installed as an in-ground spa and is therefore sold without a cabinet. Like all other spas in the Aquavia range it has a metal rustproof structure and an ABS base specifically designed for this kind of installation. Nine jets positioned to massage the upper back and the small of the back, plus three for the back of each leg and one for each foot. The jets in this position work at full power to reach the whole of the surface of the thoracic region. This massage relaxes the cervical vertebrae, the shoulders, the centre of the spine, the upper back muscles and the small of the back to alleviate pain in the back by loosening tight muscles. The result is a feeling of deep relaxation for all spa users, from sportspeople, to home users seeking rest and pleasure, through to patients undergoing rehabilitation. Spa massages improve the circulatory and lymphatic system by eliminating toxins and stimulating the drainage of the lower limbs.